I heard a surprising statistic the other day; at one point in the 1980’s, five of the acts on the Top 40 radio charts were solo acts that came from successful bands. Glen Frey (Eagles), Lionel Richie (Commodores), and Diana Ross (The Supremes) are three I remember. When it comes to live audio, a solo act means something entirely different and mixing them brings new options. The other week, I found out a guest worship leader would be leading our congregation in song. I don’t mean the worship leader plus the regular band. I mean one guy with a vocal mic and an acoustic guitar. I’ll be honest, I was excited to mix small. 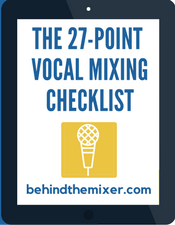 With a one-person band, the mix approach is completely different than mixing a large band. With a big band, there is a lot of work to control the audio frequencies so each channel fits into a narrower space so when all of the instruments and vocals are layered together, each only “owns their frequency area.” Not that they are the only sound in the tight frequency range but they are the dominate sound in it. Mixing small is about letting instruments and vocals have a wider range. Before jumping to the five steps below, know that the guest leader might have a particular sound they like. You might like a certain blend of their voice and instrument but they prefer the instrument volume to be well below their voice or they might detest the use of effects or they might insist on using their own effects. Knowing if they have preferences will help a lot, especially if they can hear it in the room because they are using a floor wedge for a monitor. As you’ll learn at the end of this post, sometimes you have to accept what they give you. Consider the sources. A vocal channel and an instrument channel need to create a full sound. 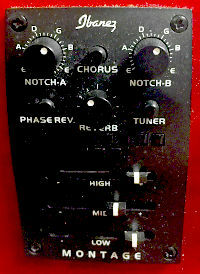 Therefore, disengage any high-pass filters – even on vocals. I usually run my vocal HPF between 120 and 180 depending on singers but turn it off if it’s a solo or small act. It just depends on the band size and mix demands. Notch out the bad. Whatever harshness is there, get rid of it. I’ve done this before and the remaining vocal was near perfect. (Sometimes we get blessed with a great vocalist.) What remains is the best sounding natural sounds from the stage. Now is where you get to have some fun. Check out this post on how to easily find those bad frequency areas. Listen to the low end. Is it dominated by the instrument or the vocal? Is it lacking? I’ve encountered both instances. When lacking, boost the low of the instrument and evaluate the sound. If you like it, then move on. If not, try with the vocal (if the vocal has the low end to add). With an acoustic guitar and a vocalist, if the vocalist has a deep voice, let them have the lows and cut a bit of lows from the guitar. It all depends on who and what’s on stage. It could be a singer with guitar, and a piano. Decide who best provides the low end frequencies. Likely, it won’t be anything below 80 Hz or 100 Hz but just test to find what works best. Focus on the presence and the fullness of the sound. This can be done before the low end process I mentioned above – to each their own. This is where I’ll focus on getting separate but blended sounds, working on the mid-range and high-end. Audio engineer Bobby Owsinski says, regarding vocals, “The presence range between 4kHz and 6kHz is responsible for the clarity and definition of voices and instruments. Boosting this range can make the music seem closer to the listener. Reducing the 5kHz content of a mix makes the sound more distant and transparent.” Just watch for sibilance as it resides in the same area. As for acoustic guitar, look in the 2 kHz to 5 kHz for presence and the 240 Hz area for adding body. Effects. This depends on the song arrangement and the instrument – sometimes it’s piano or another instrument they play. In the case of the acoustic guitar, a lot depends on the size of the room. In such cases, I like to do a combination of reverb and delay. I’m using reverb generically as there are different names depending on how much is applied and how a software plug-in or piece of hardware labels it. My favorite combination is adding a little delay and then just a pinch of reverb. But I’ve had times the musician uses their own pedal effects and I don’t have to do much of anything. Check out this article on using effects. I’d planned out how I was going to mix the guest worship leader but the moment he strummed the first chord on his guitar that all went out the window. 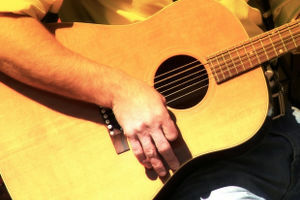 He had an Ibanez acoustic guitar with a built-in amp with effects. He had it set to some heavy reverb and you can see the EQ settings in the photo, so the only thing I could do was cut a little from the highs and say a prayer. We plan, we prepare, and then we play the hand we’re dealt. But how do I know where the harshness is so I can notch it out? I’m a little confused. I was under the assumption that you should engage the HPF on vocals or is that different for a solo? Example: soundtracks playing through house pa or smaller pa system on one channel and mic for solo on another channel. Do you get a fuller sound for solos without HPF, or is it a matter of preference. Paul, you’re right that most of the time you HPF vocals. When it comes to fewer and fewer musicians, then it’s time to consider skipping the HPF. It’s like painting a picture with music. You’ve got a blank canvas (the frequency spectrum of 40Hz to 20,000Hz) in which you paint. With a large band, every channel is focused on tight frequency area. With a small band or soloist, you still want to paint the lows and you have to get them somewhere. So, you don’t use the HPF on a vocalist or an instrument that would otherwise use it. You aren’t trying to fill the low end in the same way as a kick drum fills the low end. You just want to use what you’ve got, instead of restricting it as with a large band.